As many as 1.4 million people suffer from Lewy Body Dementia in the United States, but this disease can be elusive and difficult to diagnose. Lewy Body Dementia (LBD) differs from other types of progressive dementia, and its symptoms can also mimic other diseases and disorders. LBD is most common in adults over the age of 50, so it’s important to be aware of the symptoms and watch for them as you or your loved ones age. Here, we share five early signs of LBD that every adult should be aware of. 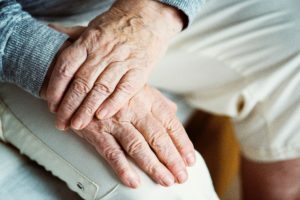 Unlike Alzheimer’s disease, individuals in the early stages of Lewy Body Dementia may exhibit cognitive changes such as hallucinations or distortions of reality. In general, hallucinations caused by LBD are vivid and usually visual, rather than auditory. LBD differs from other forms of dementia in that most early-stage cases do not involve memory loss. Individuals with LBD often exhibit cognitive fluctuations in the early stages of the disease. These fluctuations may include changes in wakefulness or alertness. Those affected by LBD may also feel unusually tired despite getting a full night’s rest or have difficulty concentrating on routine tasks. Subtle changes in movement are to be expected with age, but it’s crucial to look out for symptoms that are similar to Parkinson’s disease. These warning signs often include a reduction in coordination, balance problems and frequent falls, or a change in handwriting. These symptoms can be tricky to spot and are often associated with other diseases. Moreover, those with LBD usually don’t experience significant changes in movement until later stages. Lewy Body Dementia causes changes in the nervous system, which can lead to shifts in behavior and mood. If you or a loved one usually have a sunny disposition or mild temperament but have recently developed depression, anxiety, or paranoia, it may be wise to consult with a healthcare professional. This is especially important if changes in mood are accompanied by any other early signs of LBD. Sleep disorders are a common symptom of LBD, but these signs may be difficult to detect and are often overlooked. Sleep problems that may arise with the onset of LBD include vivid dreaming, sleepwalking or talking during the night, unusual daytime drowsiness, and insomnia. Restless leg syndrome can also be an early sign of LBD, so be sure to take note if you or a loved one begins to exhibit signs of restless leg syndrome in conjunction with any of the above symptoms. If you suspect that you or a family member may have Lewy Body Dementia, it’s essential to have access to information and support. To learn more about LBD and find information regarding professional help in your area, please visit us online at lewybodyresourcecenter.org. Our helpline is available 12 hours a day, so feel free to give us a call or reach out via email.